I've talked about the Panama Canal cruise before and how this could be one of you most memorable cruise vacations. Celebrity cruises has some fantastic rates on 4th quarter Panama Canal cruises. Have you been procrastinating on scheduling your vacation time this year? Many companies have tightened their "use it or lose it" vacation requirements in recent years. Have you figured out if you need to take a vacation in the 4th quarter so that you don't lose vacation time? Now is the time to check and take advantage of these great Panama Canal deals. Here are a sample of Just a Few of our "Smoking HOT" 4th Quarter, 2009 Panama Canal Cruise Deals AND Some Incredible "Independent" Air Add-Ons! "Let Celebrity Do ALL The Cooking This Thanksgiving!" "The # 1 Rated Large Ship In The World" - 4 Years in a Row (And Counting! )(Thanksgiving Cruise!) "Let Celebrity Do ALL The Cooking This Thanksgiving!" Make plans now to sail Celebrity Infinity or Celebrity Constellation. Let me help you plan your cruise vacation this 4th quarter to the Panama Canal. The Streamwood Summer Celebration is now over and I'm happy to report that we met with many people at the Business Expo that are interested in a cruise vacation. We really enjoy talking with new cruisers. With over 25 years of cruise industry experince we are able to answer just about any question a first-timer or even the seasoned-cruiser can think up. 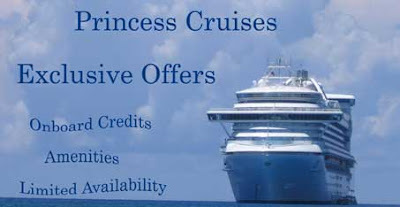 Don't forget, the Princess Cruise Sale continues through the end of this week. 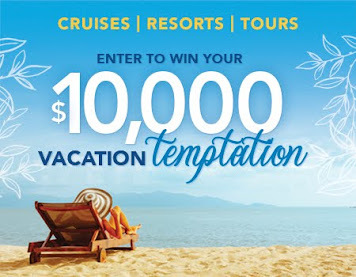 Receive a reduced deposit of $100 per person and a coupon book valued at $325. That can be combined with most other offers to provide you with even more value. This is an exclusive cruise sale, so take advantage of it now. I'd like to welcome new readers, many of which we met at the expo. 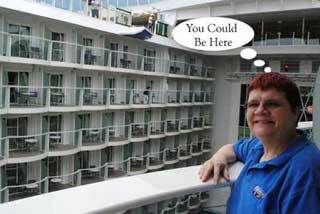 Think of this blog as your source of information about cruise vacations. If you utilize all the information provided in this column, on our websites, and on our Facebook page, you will have a good foundation for keeping up to date on offers, changes in the industry, and reviews from our personal experiences. The discussions during the expo weren't much different than those we have all the time. We share our personal experiences and knowledge of the various cruise lines that sail to the destinations that interest you. Since we represent all cruise lines, we can compare the various cruises and offer suggestions based on your requirements and interests. We take all the worry out of planning by being your interface with the cruise companies, sorting out all the requirements and finding the best available fare for the cruise you select. Some questions that help us find the right cruise for you: What do you like to do when on vacation? What sort of accomodation are you looking for (inside, outside, balcony, suite, multiple cabins, handicap cabin, etc)? Do you want to fly or drive to the embarkation port? Where do you want to go and begin your cruise vacation from? When do you want to go and how long do you want to be on vacation? These are just a few questions that help us to assist you in planning the perfect cruise vacation. Our value goes beyond booking your reservation. What's more important is finding the right cruise for you that will provide good value and a great vacation. I've been writing this blog now for a couple years and there is quite a lot of content. To make it easier to find that tidbit of information from one of my past blog posts, I've added Blogger's Search capability to the right-hand navigation. You don't even have to leave the blog to narrow your search. For the first-time readers, I'd suggest you take a look at the Archive to see some of my past posts. 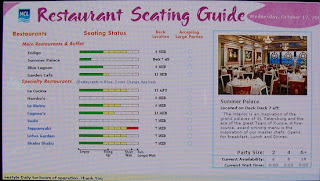 One of the most popular topics are my reviews of the various dining options onboard the ships. I've talked about our past trips to places like the Galapagos, Caribbean, Europe, Canada, Mexico, Hawaii, and many other destinations. I've talked about new ships like the Norwegian Epic, Royal Caribbean Oasis of the Seas, and Celebrity Solstice. Visit my website to sign up for my weekly eSavers newsletter (you can also sign up right here on the blog). I list Hot deals here and on my website. You can learn about what's new in the industry here and also on the front page of my website. 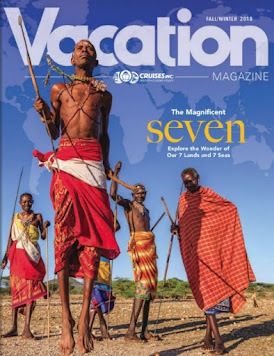 If you want to see pictures from our cruises, I often have links in the blog posts, but you can also visit Our Cruise Vacations . Regent Seven Seas has announced two special offers for sailings to Tahiti aboard Paul Gauguin. This is the final season that the ship will be sailing under the Regent flag. In January, 2010, Paul Gauguin Cruises will begin sailing in Tahiti. French Polynesia is made up of several series of islands, atolls, and archipelagos, independently surrounded by lagoons and barrier reefs that create unique eco-systems and divine respites for the traveler weary of the usual getaway. Explore the Society Islands aboard Paul Gauguin this summer with up to 74% savings, third guest sails FREE; BOOK by August 15, 2009. Explore the Society Islands aboard Paul Gauguin this fall with up to 67% savings, Select Balcony & upper suite categories only; Valid from July 27, 2009 to August 2, 2009. For more information about Paul Gauguin or these French Polynesian itineraries, call or email me. 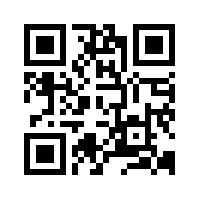 You can also visit my website. with great savings and exciting extras! In preparation for my participation at the Streamwood Summer Celebration, I checked my inventory and found some fantastic offers on Princess Cruises that I wanted to share with my readers. Have I perked your interest a little? You are probably wondering what destinations are included and what ships. What sail dates are included? As you might imagine, the list is a little long for me to include all the details here, but I'll give you a sample of what I have to offer you as readers of my blog. Did I hit on one or more of the destinations on your bucket list? I would imagine that I did. What's the catch you ask? Only two, there is limited availability as the cabins are part of block space in my inventory. You have to be flexible in your schedule to match up with one or more of the select sailings. I encourage you to take advantage of these special offers. My only regret is that I can't go on all of them myself as the itineraries are really amazing. If you are in the Greater Chicagoland area, the village of Streamwood is holding their annual Summer Celebration this coming weekend. The festival starts Friday, July 24th and runs through Sunday, July 26th. We will have a booth in the Expo Tent. Expo hours are different from the fair, so be sure to check the schedule. The fair grounds are located at Hoosier Grove Park, 700 W. Irving Park Road, Streamwood. More details about the Streamwood Summer Celebration. We have setup an Exclusive One Week Princess Cruise Sale in conjunction with the celebration. This sale offers great savings and exciting extras including reduced $100 pp deposits and onboard coupon book worth up to $325 in onboard services. More information about the coupon book (click here). Besides the coupon book, we still have block space on several Princess Cruise itineraries to popular destinations. If you book one of those select sailings, you'll also receive an onboard credit and other exciting offers. to take advantage of this Exclusive Cruise Sale. Visit us at the Expo, email, or call for more details. I hope to meet those of you who are in the area at the Summer Celebration. July 20, 1969, another one of those days that will be remembered for years to come. Neil Armstrong became the first human to set foot on the lunar surface fulfilling a challenge put forth by President John F. Kennedy. 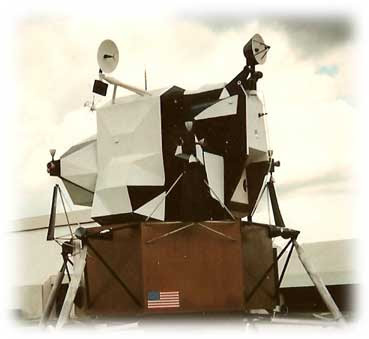 If you were alive in 1969, odds are you were glued to your radio or television set waiting to hear those first words, "The Eagle has landed." Unlike other days that we remember, this wasn't a tragic day, but rather a triumphant day. Man had entered the new frontier and successfully landed on new unexplored shores, much like the explorers who sailed the oceans in search of new land centuries before. What does this have to do with cruise vacations you ask? The event itself isn't directly related to cruising, but Port Canaveral, home of NASA, is one of the popular ports of embarkation. That means you can extend your cruise vacation either before or after your cruise and visit the Kennedy Space Center and learn more about the space program. Several cruise lines depart from Port Canaveral. You can select from Carnival Cruises, Disney Cruise Line, Norwegian Cruise Line or Royal Caribbean Cruise Line. The cruises include 3, 4 or 5 night Bahama cruises, 7 or 9 night Eastern/Western Caribbean, 11 night Southern Caribbean, and even 14 night cruises to Eastern/Western Caribbean or even a Transatlantic. 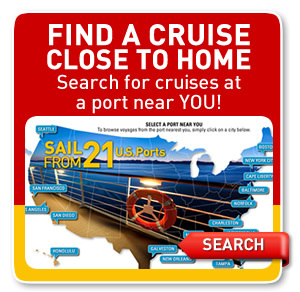 Search for cruises leaving from Port Canaveral. Since 2009 is the 40th anniversary of the landing on the moon, this would be a good time to visit Port Canaveral, Florida. What better way to begin or end a cruise vacation than by visiting the space center to add some enrichment to your pleasure trip? You too can make one small step by learning more about our history in space and those that have explored the new frontier. Let me help you take that step. Princess Cruises has announced a rare opportunity for 2010 European Cruisetour guests to see the famed Oberammergau Passion Play, which is performed only once each decade in this small Bavarian village in Germany. The new 18-day “Oberammergau & Highlights of Germany” tour features two nights in the southern German town of Oberammergau, and includes tickets to the event. Passengers will also visit a variety of other top German destinations during the eight-day land tour, including Frankfurt, the Black Forest, Munich, Nuremberg and Berlin. In addition, the tour will connect seamlessly with a 10-day Scandinavia/Russia cruise aboard Star Princess. Two departures are offered on August 2 and August 12, 2010. The Oberammergau Passion Play has been held every ten years since 1634 in thanksgiving for deliverance from the Black Death in 1633. The play is now performed in years ending with a zero (except 1984 which was the 350th anniversary), and involves more than 2000 actors, singers, instrumentalists and technicians, all of whom are residents of the village. All cast members have lived in the village at least 20 years and must be amateurs of high moral and ethical principles. Villagers also make all the costumes for the production and, as no wigs are used, participants must grow their hair and beards for several months prior to the performances. Fares for the 18-day Oberammergau cruisetour begin at $5,319 per person, based on double occupancy. Capacity is limited on these special tours, and could fill quickly. If you are interested in this historic event, I strongly encourage you to contact me immediately to book this cruisetour. Turn the clocks back to the 1930's and 1940's. Times were tough, much like they are today. The Great Depression was in full swing and the world was about to go to war once again. It was during these dismal times that the Swing Era began and became an important part of musical history. Enter the Big Band, a type of musical ensemble associated with playing jazz music. Big bands evolved with the times and continue today. A big band typically consists of approximately 12 to 25 musicians and contains saxophones, trumpets, trombones, singers, and a rhythm section. Teenagers and young adults were the principal fans of the Big Bands in the late 1930’s and early 1940’s. They danced to recordings and the radio, and attended live concerts whenever they could. You'll probably remember greats like Glenn Miller and Duke Ellington. Big Bands played a major role in lifting morale during World War II. Many band members served in the military and toured with USO troupes at the front, with Glenn Miller losing his life while traveling between troop shows. 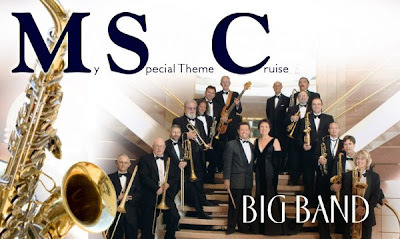 MSC Cruises rekindles the music of the 30's with two Big Band themed cruises aboard MSC Poesia. Whether you want to hear Big Band music for the first time, or if you are a lover of this era gone by, you will enjoy this special themed cruise. The 15-piece Les DeMerle Orchestra, featuring vocalist Bonnie Eisele, is sure to have toes tapping, bodies swaying and guests singing along to the sounds of Ellington, Basie, James and Miller, plus the biggest Broadway hits, rock ‘n’ roll classics, hot Latin grooves and show-stoppers from the 40s through today. In addition to their regular appearances, the band will perform a Big Band Jazz Concert and conduct a lecture on the Big Band Era. For more information about MSC Poesia and these cruises, see my website or give me a call. Don't forget that Kids 17 and under Sail Free (in same cabin). "Become the Center of Our Attention"
Loyalty has its rewards. I'm sure you've heard that from many of the businesses you frequent. Whether it's the local grocery store, restaurant, airline, or other business, you are rewarded for repeat business in various ways. The same holds true in the cruise line industry. Celebrity Cruises has launched the new Captain’s Club, a redesigned recognition and rewards program that delivers brand new benefits and an unparalleled cruise experience to their most loyal guests. Celebrity indicated that joining the new Captain’s Club will "make you the center of our attention". Celebrity believes that their most loyal guests deserve more. More recognition, more service, more benefits and, quite simply, more reasons to cruise with them. They have added several exciting new features and benefits to everything members have come to expect from the existing program. The Captain's Club is made up of three tiers currently: Classic (1-4 tier credits), Select (5-9), and Elite (10+). Celebrity plans to add an additional higher tier with additional benefits. For those interested in a quiet haven of their own, Celebrity introduced the Captain's Club Lounge at Michael's Club, exclusively for Elite members and their stateroom/suite companions each morning and early evening. This new lounge will offer a casual coffeehouse-style experience from 8 a.m. to 10 a.m., with complimentary espressos, teas and other menu items, a variety of reading materials and, on Celebrity Solstice and Celebrity Equinox, wi-fi access. Every evening from 4 p.m. to 6 p.m., Captain's Club Elite members and their stateroom/suite companions can return to the Lounge to enjoy socializing with fellow members, participate in a wine tasting event, or simply relax and enjoy a quiet, complimentary drink before dinner. Celebrity plans to expand the program throughout 2009, adding additional benefits and a new tier. If you haven't tried Celebrity Cruises before, now is the time to start. Celebrity has always provided exceptional service, food, and entertainment to all guests, with rewards for their loyal customers. This revamped program leverages their award-winning ships, dining, and service to set a new standard for the industry for loyalty programs. Celebrity Cruises is one of my favorite cruise lines. I'm an Elite member so I am definitely excited about the expanded program. 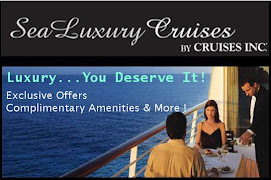 I highly recommend you include Celebrity or Azamara Cruises in your future travel plans. I'll be happy to discuss the additional benefits or provide any information about upcoming cruises. Call or email me today for more information. 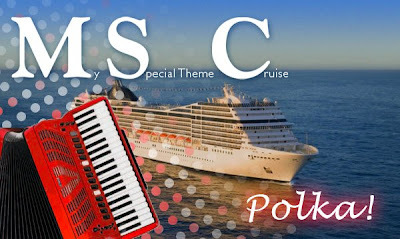 Sunny Caribbean ports and two well-known polka bands will keep guests dancing and swaying to chase those winter blues as the MSC Poesia sets sail in January 2010 for a polka theme cruise. Joe Stanky and the Cadets have been performing classic polka sounds for more than 25 years. The group also features a range of styles, including honky, country, Slovenian with both English and Polish vocals. John Stevens DoubleShot, a popular Pennsylvania-based group that plays its contemporary polka rhythms at numerous festivals throughout the country. For more information about MSC Poesia and this cruise, see my website or give me a call. If you missed the Holland America 3-Day Sale in June, it's not too late to cash in on savings to Alaska and other Destinations. This is a great year to travel to Alaska and what better way to do so than on a Holland America Cruise ship. This sale features new special fares on verandahs and suites as well as upgrades available for as little as $50. Get an outside for the price of an inside, or Upgrade from an ocean-view to a verandah for $100 on select sailings! Get an outside stateroom for the price of an inside or upgrade from only $100 on select sailings! Get an outside stateroom for the price of an inside—or upgrade to a Verandah from an Ocean View from only $50 on select sailings! Plus enjoy limited-time savings on Verandah Suites! Upgrade to an outside stateroom from only $100 on select sailings! Get an outside stateroom for the price of an inside or upgrade from only $50 or $100 on select sailings! Get an outside stateroom for the price of an inside on select sailings! Get an outside stateroom for the price of an inside! The list of ships and special cruises are just too numerous to list. Contact me for complete details, but don't wait too long as these deals will go fast. 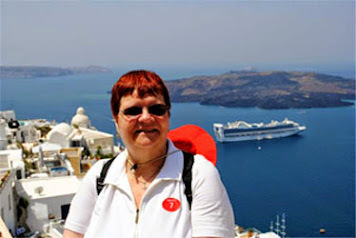 You can also check my web site for a list of Holland America sailings. 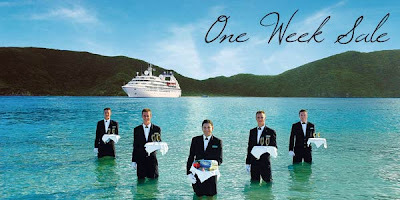 Book one of the below cruises aboard The Yachts of Seabourn with extraordinary savings of up to 65%. You will sail aboard an intimate yacht and enjoy all-suite accommodations, personalized service and an atmosphere of sophisticated ease. With special fares from just $1,349, don't miss this exceptional value. It's the perfect opportunity for you to experience the winner of the World's Best Small-Ship Cruise Line*. To learn more about the Yachts of Seabourn, consult the overview on my website. I've spoken about Freestyle Dining in several past articles. You can search this blog to read them if you need additional details. As a quick refresher, guests have several dining options which range from the traditional dining room setting to specialty restaurants that offer a more intimite setting with personalized attention and additional cost. The other aspect of Freestyle Dining is the ability to select the time that you wish to dine. As you might imagine you don't always get your first choice since you are competing with your fellow passengers for that time slot. Currently it is possible to make reservations but only 24 - 48 hours in advance. For those that truly want to make last minute decisions, you can check availability with the various restaurants or on some ships, you can check a status board to determine what choices are currently available (much like you would do at an amusement park). Having cruised for over 25 years, I'm used to the traditional dining where I request either early or late seating and the table size. Usually, I request early seating and a large table size so that I have the opportunity to meet new people. In 2001, when aboard the Norwegian Sun for it's inaugural, I was dragged kicking and screaming into the new world of Freestyle Dining. To be honest, I didn't like it. But to be fair, the program was in its infancy. It has grown up quite a bit since that time. I still prefer traditional dining, but there are times when Freestyle Dining has worked out very well for our evening plans. It seems you either love Freestlye or hate it. Those that are used to traditional dining may be like me, kicking and screaming about the new dining methods. There are others that will object to the extra cost. They will ask, isn't food included in the price of the cruise? Why do I have to pay an additional charge to go to the steakhouse, for example? My answer, to all that ask, is "you have a choice". In fact on most NCL ships you have around 13 choices or so. All I can suggest is try it some time and see if you like it. NCL is about to make yet another tweak to their Freestyle Dining program. The change is in response to passenger suggestions over the years. Remember those comment cards that you fill out every cruise? This change proves that NCL does listen to their passengers and are willing to try different things. The change that is about to be implemented will be welcomed by all those past guests that have made the suggestion. NCL has not officially announced the program, but they have leaked advance notice to their elite agencies. I cannot share the information publicly, but I can provide details if you send me an email or give me a call. Watch this column for the official announcement - I expect it within the next couple of weeks. Note: As of August 27th, NCL has still not publicly announced this program change. There are some technical aspects of the program that still need to be resolved before it can be implemented. Stay tuned for further updates. Paul Gauguin Cruises, operator of the highest-rated and longest continually sailing luxury cruise ship in the South Pacific, has announced 2-for-1 limited-time savings on an alluring collection of 7- and 10- night itineraries aboard the luxurious m/s Paul Gauguin throughout 2010. With 2-for-1 cruise fares and free or 2-for-1 airfare, the opportunity to cruise the South Pacific aboard the deluxe m/s Paul Gauguin has never been better! Having been to this magical land, I can attest that the pictures above don't even do justice to the beauty you will enjoy. You can explore the spectacular islands of Tahiti, Raiatea, Taha'a, Bora Bora, and Moorea, whose verdant peaks, crystalline waters, and pristine beaches have enticed artists, mutineers, and vacationers for centuries. This itinerary adds the Tuamotus, the largest chain of coral atolls in the world-boasting some of the most renowned snorkeling and diving on Earth. On the January 6, 2010, sailing, you'll enjoy a special cruise with President and CEO David A. Giersdorf onboard. This voyage marks not only the year's first cruise, but also the m/s Paul Gauguin's first sailing under the Paul Gauguin Cruises flag. The cruise will be accented by special Polynesian-themed events complete with local dancers and dignitaries, a premium wine-tasting night, and a sunset cocktail party to toast the first members of the Paul Gauguin Society. To take advantage of these unprecedented savings, you must reserve no later than September 30, 2009. To enjoy the best cabin selection, call me today! Carnival Cruises announced that it was extending the Summer Cash Back Sale through July 31, 2009. Guests can receive up to $240 per cabin depending on the length of the cruise. Just book by July 31st, 2009 and Carnival will load up your Sail & Sign® Card with up to $50 per guest for 3–4 day cruises, up to $75 per guest for 5 day cruises, or up to $120 per guest for 6–8 day cruises. But here's the coolest part. You can use the cash anywhere on board or on a shore excursion. And at the end of your cruise, you’ll get back whatever credit you haven't used. How great is that? For Complete Details Including Sample Savings CLICK HERE. It's all about fast thinking with Norwegian Cruise Line's Pity the Procrastinator Sales Event. NCL will reward you with instant gratification when you snap up these deals immediately. You can receive a free up-to-6-category upgrade, big discounts, and more when you book today. What's the catch? The best available staterooms and suites will go first, so if you snooze, you lose. Don't procrastinate and you could get a 6-category upgrade today. Wait until tomorrow, and it could be a 4-category upgrade. By next week, it may be gone. Staterooms will go fast. Pity the procrastinator who waits because he or she will lose out on the best deals. For information about NCL itineraries, CLICK HERE. Better yet, give me a call today so that you don't miss out. I will be able to give you up to the minute availability. 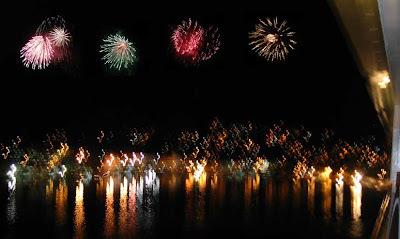 I hope that you are enjoying a wonderful Fourth of July with family and friends. Across the globe, there are many families that are apart from loved ones. Those are the men and women of the Armed Forces who are serving to protect those freedoms that we celebrate today. Let us salute those men and women who sacrifice so that we can enjoy this holiday. The photo in this article was not taken on the Fourth of July, but rather when I was onboard Disney Wonder for a Southern Caribbean voyage. Across America today, you'll see similar displays in the night skies (weather permitting). 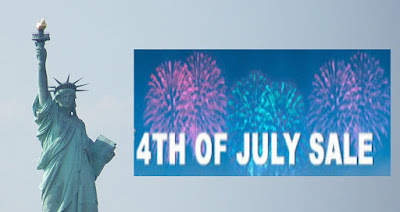 Enjoy your freedom today. I'd like to thank all the military personnel, past and present, for serving their country. Many of the cruise lines offer military discounts. If you know someone who has served, make sure they are aware of these discounts - it's the least we can do for them that have made this day possible. A ceremony was held today, at the Monfalcone shipyard of Fincantieri near Trieste, Italy, to mark the keel laying of Cunard Line’s new Queen Elizabeth. The second largest Cunarder ever built, Queen Elizabeth’s keel is the third Cunard has lain in the space of seven years. When she enters service in October 2010, she will join Queen Mary 2 and Queen Victoria as not only the most famous ocean liners in the world but also the youngest fleet in passenger travel. The keel laying involves the placement in the dry dock of the first section of the ship’s hull. This section is made up of six pre-manufactured blocks, weighs 364 tons and is fitted with 104 tons of pipes, cables, insulation and other equipment. 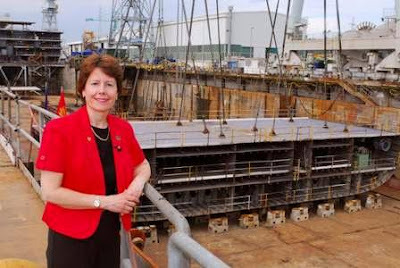 Fifty-three sections will be used in the construction of Queen Elizabeth and she will take to the water for the first time at her float out in December. The new ship is named after the first Queen Elizabeth, one of Cunard’s greatest ships. The exterior design will be like her sister ships with the distinctive black and red design. The interior of the ship will consist of elegant double and triple height public rooms on a grand scale, luxuriously endowed with rich wood panelling, intricate mosaics, gleaming chandeliers and cool marbles. Art Deco features will pay homage to the original Queen Elizabeth and will allow the new ship to reflect a more civilized era of travel. Queen Elizabeth's maiden voyage will be October 12, 2010. That voyage sold out in just over 29 minutes back in April this year. Her Maiden Season will run from October 2010 to January 2011 and include voyages to the Western and Central Mediterranean and the Caribbean. Fares start from just $1,195 per person for the five-night 26 November 2010 Gallic Debut voyage with ports of call at Amsterdam, Zeebrugge and Le Havre; while the 13-night Iberian Discovery voyage departing 1 December 2010 features fares from $2,395 per person, with ports of call at Vigo, Lisbon, Seville, Gran Canaria, Tenerife, La Palma and Madeira. The world’s newest ocean liner will depart Southampton on January 5, 2011, on her 103-night epic Maiden World Voyage, which has just been released for sale. This will see her make 35 maiden calls, including Cunard’s first call ever at Port Denarau (Fiji). In total, Queen Elizabeth will call at 38 ports in 24 countries as she makes her way west around the globe, with maiden transits of both the Panama and Suez Canals and calls at Los Angeles, Auckland, Sydney, Hong Kong, Singapore, Dubai and Lisbon. Those that follow my column on a regular basis know that I try to keep you posted on special savings so that you can enjoy the destinations I write about yourself. As the 4th of July holiday weekend approaches, I've received several offers in my inbox that I wanted to share with you.Some of the offers are only available through the holiday weekend, while others last longer. Book a balcony or above and receive a $100 Onboard Credit per stateroom on select sailings. The select sailings include Vision of the Seas Holy Land and Mediterranean; Brilliance of the Seas Egypt & Mediterranean; Navigator of the Seas Eastern & Westerrn Mediterranean; Navigator of the Seas Mediterranean & Egypt; Splendour of the Seas Greek Isles & Turkey and Mediterranean; and Voyager of the Seas Mediterranean. OFFER DETAILS Book July 1 - 5. Book an Ocean View stateroom or higher on any of the mentioned departures and receive up to $100 Onboard Credit per stateroom plus a pair of Exceptional Offer Booklets. The select sailings include Celebrity Century Mediterranean and Transatlantic; Constellation Bermuda; Mercury Caribbean; Millennium Southern Caribbean and Panama Canal; Solstice Mediterranean; Summit Caribbean; and Infitity Panama Canal. OFFER DETAILS Book by July 15. Receive up to $700 Onboard Credit per stateroom for new Verandah bookings this summer. 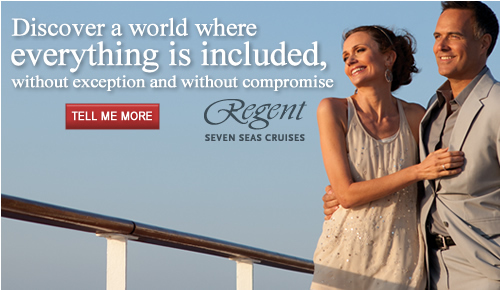 This includes most 3 night, 4 night, and 7 night sailings. OFFER DETAILS. This is only a sampling of special offers available right now. As always, these offers are capacity controlled and subject to restrictions set forth by the respective cruise line, so "the early bird gets the worm" as they say. See my website or give me a call to learn more. Exotic. Historic. The Panama Canal is a voyage that has no equal. And the adventures that it offers are simply unforgettable: lush rainforests, unique wildlife, volcanic springs, living coral reefs, and the incomparable experience of sailing one of man's greatest achievements—the Canal itself. Make plans now to sail Celebrity Infinity or Celebrity Constellation this winter or be among the first to book 2010/2011 sailings, as these new itineraries are now open for booking.